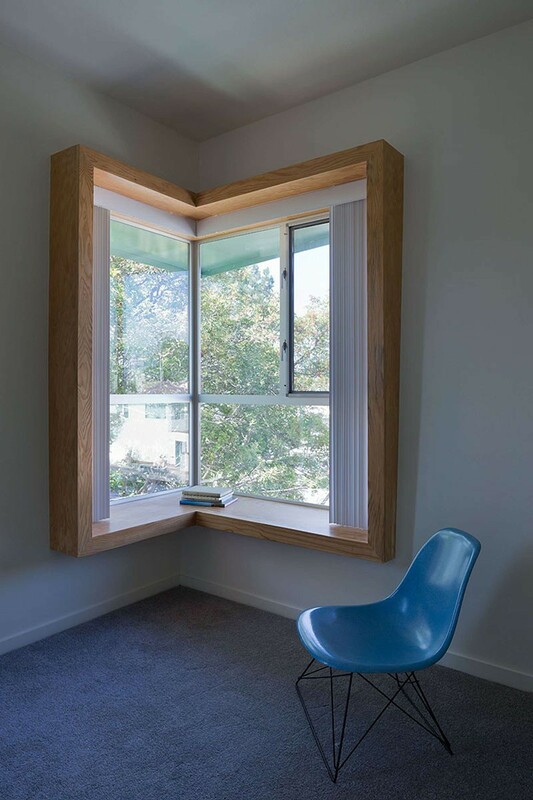 In Southern California, there’s a lot of sun, and it’s always warm. 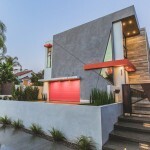 People typically cool their homes with air conditioning, but it results in expensive electrical bills, and it’s not environmentally friendly to use that much energy if you can avoid it. 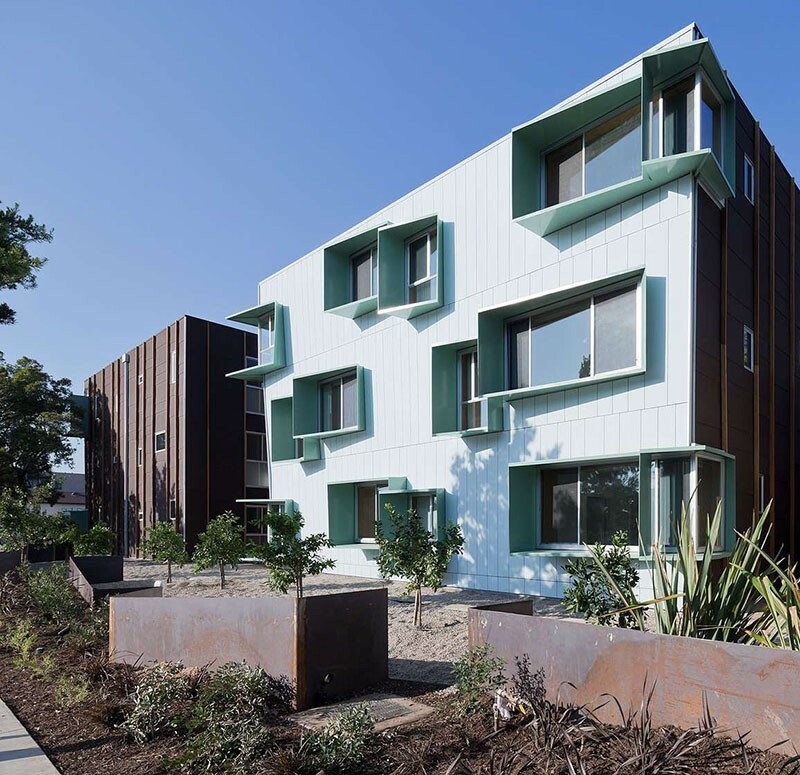 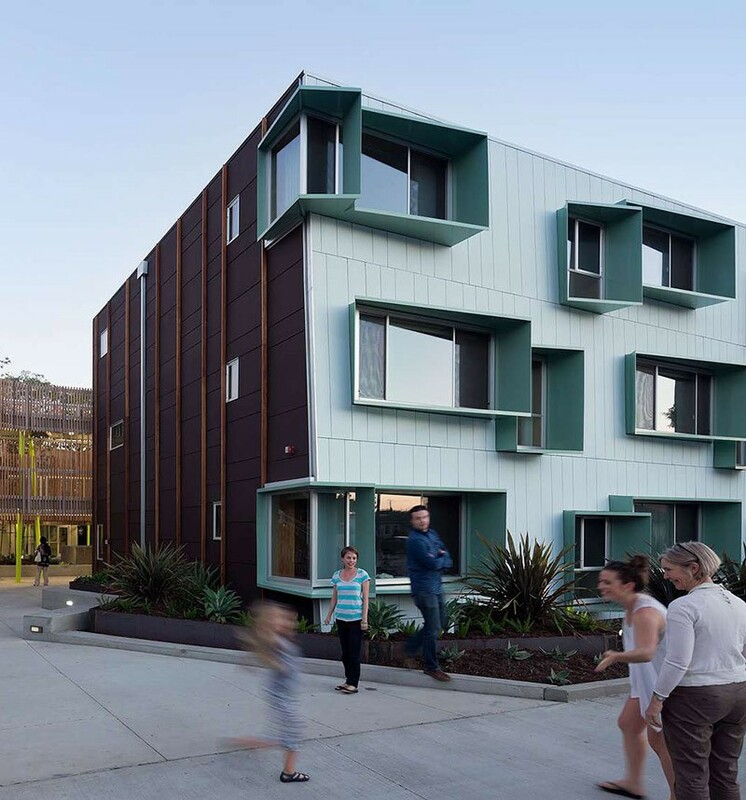 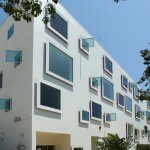 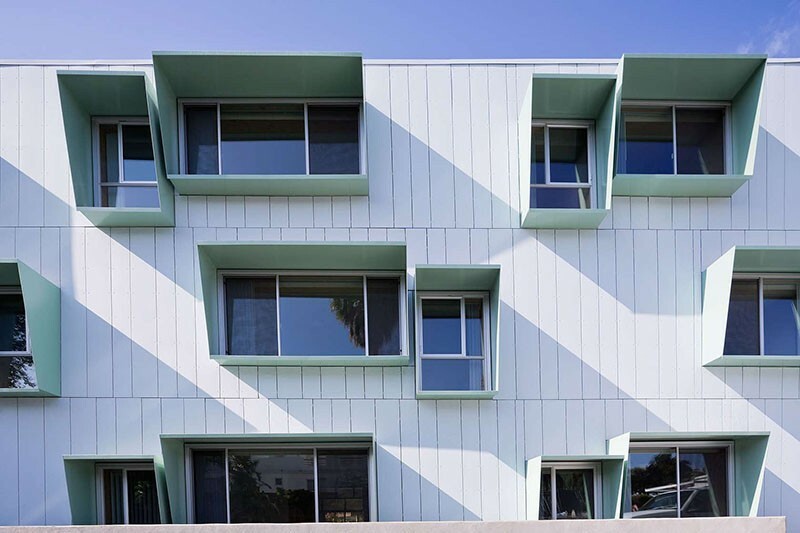 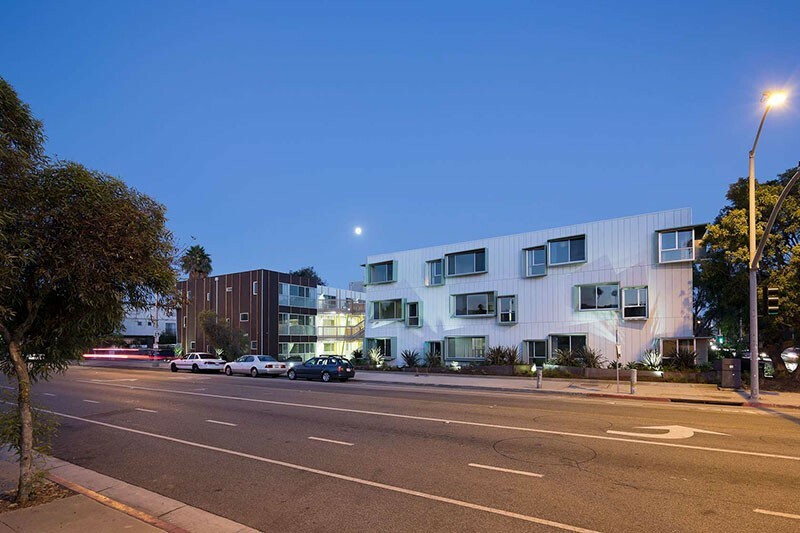 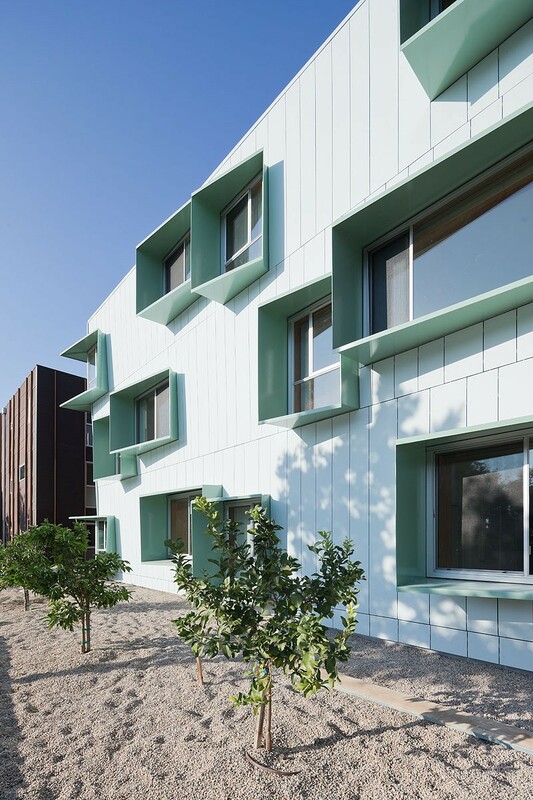 So when Kevin Daly Architects designed this affordable housing in Santa Monica, they included these custom window frames that protect the apartments from the daytime sun hitting the windows. 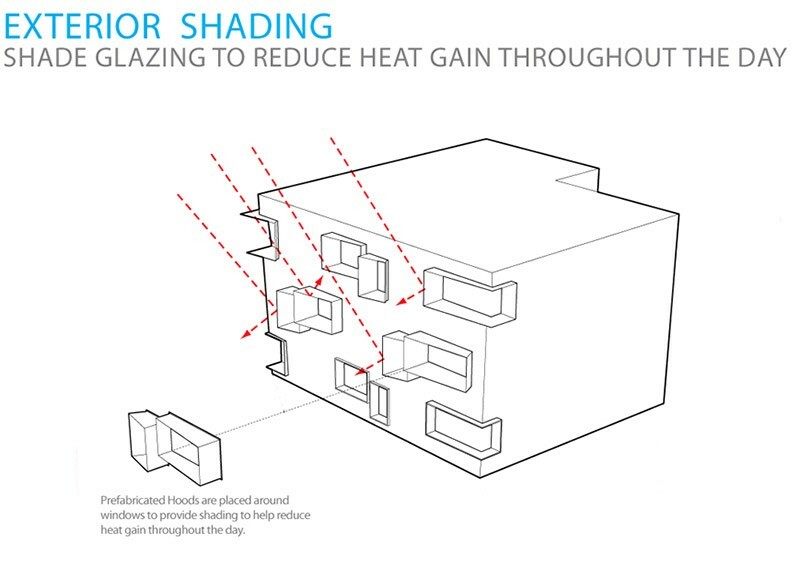 The hoods placed around the windows, lower the amount of solar heat gain, which helps keep the apartments at a comfortable temperature, without the need for air conditioning.